On September 27, 2016, the Therapeutic Goods Administration (TGA) in Australia, in consultation with Stryker Orthopaedics, issued a hazard alert for a specific range of LFIT Anatomic CoCr V40 femoral heads. 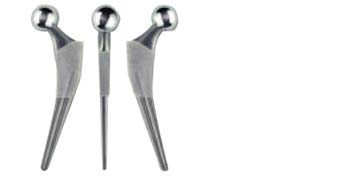 Femoral heads are a modular component used in total hip replacement procedures. If you have had a hip implant, contact your doctor to find out what was used. According to the hazard alert, some LFIT Anatomic CoCr V40 femoral heads manufactured before 2011 have a higher than expected incidence of taper lock failures. Four Stryker products have been identified; however, three other products with similar specifications have also been included in the hazard alert as an additional precaution. These recalled Stryker hip implant femoral heads are known to be utilized on both Accolade TMZF and Accolade 2 stems as well as Meridian and Citation stems. Patients with an affected implant should ensure they have follow up care from their implanting orthopaedic surgeon, if possible, especially if they experience unexpected pain, loss of mobility, inflammation, instability or other issues related to the implant. Stryker Orthopaedic has written to orthopaedic surgeons who have implanted affected femoral heads to provide further information about this issue. Stryker has not yet confirmed if this issue is isolated to a manufacturing defect that has been discovered or if it is due to a design issue present sometime prior to 2011. Learn more about Stryker defective hip implants. The attorneys at Nash & Franciskato have extensive experience handling hip replacement litigation and are very familiar with Stryker and their products. If you have questions about your hip implant, contact us for a free, no-obligation review of your case. Photo credits: Feature image is the Accolade TMZF femoral system as shown on the website of Stryker.